Recently, on one of my long drives to a dog show, I was listening to some of the songs we dance to in Zumba class, and it reminded me of the importance of imagination and visualization. Imagination is the ability to see, in your mind’s eye, what you would like to happen. Visualization is the ability to see, in your mind’s eye, what you have already practiced, and would like to do again. 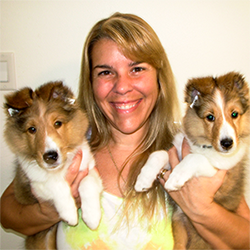 I use imagination and visualization to help me learn the dance steps and to run in agility. 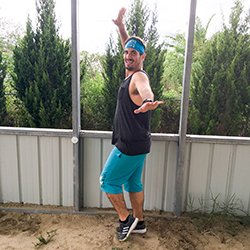 The songs that David chooses for Zumba are uplifting, fun, and full of energy, and they can change pretty fast! In class, I practice learning the dance moves better so I can focus on bringing my heart rate up, rather than on counting steps, or which move is next. I usually watch David’s feet to copy the steps or his hands that cue the number of repetitions or a change to the next step. Some steps, for me, are easier than others. Eventually, I commit them to memory and I can just let myself go; meaning, just dance and enjoy it more without having to think as much. While I am listening to the songs outside of class, I can visualize David dancing to the song, his hand cues, and the order of the steps. I have found that the more I do this, the more I can commit them to memory, and the easier it is to do in class. In agility, and other sports, visualization is very important. If you were to look up just about any successful sports figure online, you will find that they incorporate visualization into competition. Athletes call it “Mental Strength Training”. 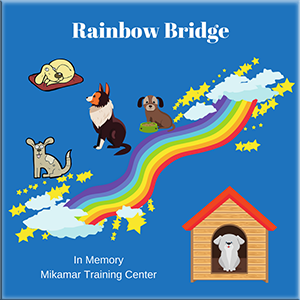 I have learned to visualize courses, visualize the dog’s path, my path, and running with my dog through the course. I imagine us in perfect sync. I “see” my dog running the course clean and fast. I “see” myself signaling my dog properly as I have practiced in the walk through. Sometimes I need a visual aid so I will look at the course map; sometimes I view the course in the ring from different angles; my goal is to close my eyes and see it without any help. The more challenging the course, the more I need to walk it and visualize it. I do this before and after I walk a course until I feel I am ready. Some courses take more time than others due to difficulty level, or due to a particular challenge that my dog and I may be working on. I found that the more completely I do my visualizations, the better I can accomplish my goals. I can walk into the ring, let myself go, and focus on running with my dog. What if I visualize a mistake ? Yes, sometimes, I see things that can go wrong. That is my insecurity and nerves taking over. When that happens, I try not to give in to it or dwell on it. I “shake it off”, take a few deep breaths, and start over. Getting bogged down in everything that can go wrong does not serve me well, and it can affect my performance in a negative way. I want to keep my focus on everything that can go right! Using imagery and visualization can take some practice, and the more I practice, the easier it becomes. If you are not good at visualization, don’t worry! 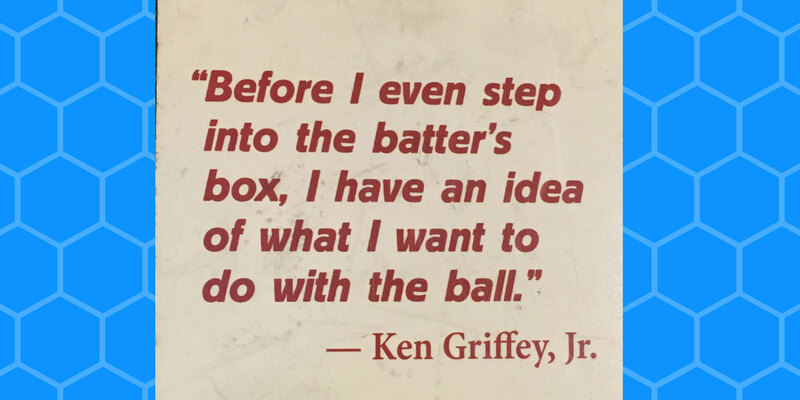 Just try it a little at a time, and you will get better, and so will your agility practice, competition, or anything else you use it for. Learn to use visualization to get and keep your focus!